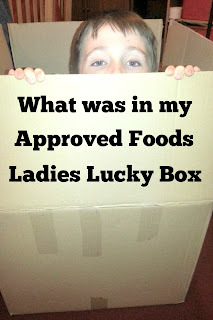 Approved Food have been around for quite a few years now and I have always liked the idea. The basic principle is simple; in this country we throw away a lot of food unnecessarily and Approved Food sought to change that, by sourcing those foods that might have passed their 'Best Before' date, but were still perfectly fit to eat, and selling them on to consumers at insanely reduced prices. Fast forward almost ten years and they have branched out into other areas, including cosmetics. 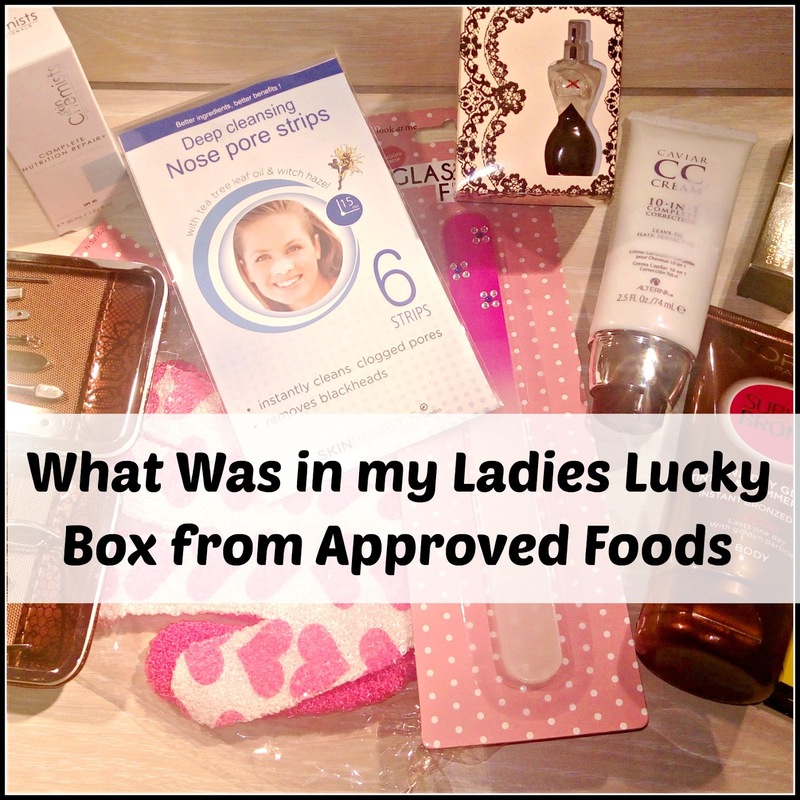 I thought I would what was in the Ladies Lucky Box with you, as I was really impressed with what I received. I bought this myself, alongside my usual food order. Firstly, the bad news; I received my box yesterday, after ordering it a few days ago for just £7.99, and I found out from Approved Food today that they have already sold out. However, they assured me that they produce a different bundle box each month, featuring different products, last month it was jam and who knows what they might have planned for next month. 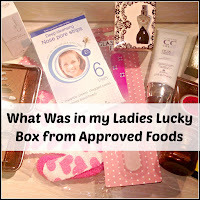 They definitely intend to make another Ladies Lucky Box, as it was so popular, so it's definitely worth keeping an eye on their website. There are always lots of useful products at greatly reduced prices. 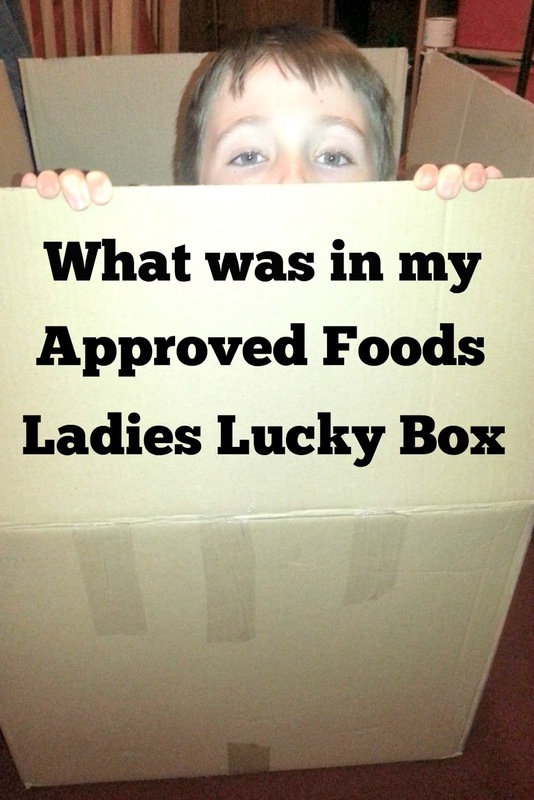 perfect for families, and if you sign up through this Approved Food link, I get a small incentive for introducing you. Once you join, you will get the same incentive for introducing anyone else. 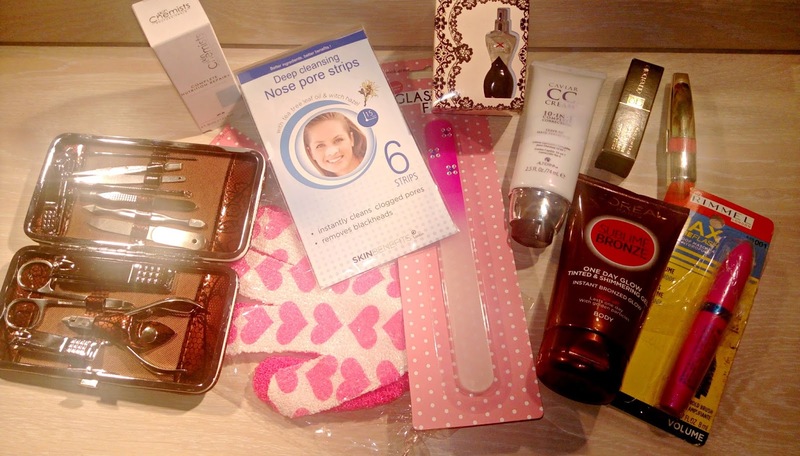 Firstly, though, here is everything that I received in my Lucky Box. A wash-off instant bronzing product, designed to last one day. This product is described as a miracle, leave-in cream that promises to deliver 10 benefits in just one easy step. These include moisture, shine, smoothness, softness, UV protection, manageability, strength, anti-breakage, heat protection and hold. Self explanatory, these gloves are ideal for skin exfoliation in the bath or shower. I am sure a perfume sample isn't worth much, but this one is so cute. It's an exact copy of the classic Jean Paul Gaultier bottle, but in miniature, it's adorable! A pedicure kit with everything you could ever need for even the most stubborn toe nails, all neatly stored in a neat clip shut case. Containing the award-winning ingredient, Syn-Ake, which works to plump the skin and reduce the appearance of lines and wrinkles, Complete Nutrition Repair+ gently exfoliates and decongests the skin. I can't wait to try this one! A product for pesky blackheads and clogged pores, you never know when you might need it! A lipstick in a reddish brown tone that will be perfect for every day wear. Skinny to fat in ten seconds flat, this mascara promises to make big things of little lashes. I think this lipstick has been discontinued, as I struggled to find it online. The RRP is a bit of a guess, but it's a good brand and new lipsticks are always welcome! You can never have too many nail files. Where do they go?! There you have it, everything that was in the Lucky Box. I am not the best at maths, but I make that a retail value of around £140, and what I loved about it was that it was all useful stuff that I would actually use. I was half expecting outlandish colours and faddy products that didn't sell for a reason, but this was not the case at all. There was nothing in the box that I can't imagine using and I would certainly buy it again. That is such a bargain! No wonder it sold oit so quickly. That sounds a bargain! I hadn't heard of Approved Food - what a great idea to stop needless waste.